Obviously the entire Titans organization is on notice to produce in 2013 but there are several Titans management, coaches and players who in particular are on the hot seat in 2013. Which ones are they? 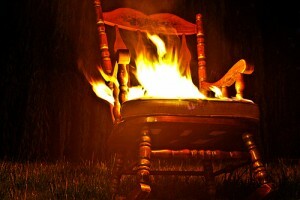 I previously took at look at Titans on the Hot Seat in 2013 – Management as well as Titans on the Hot Seat in 2013 – Coaches but now let’s take a look at which players are on the hot seat, starting with the most obvious of all choices. Entering his third season, quarterback Jake Locker looks to rebound from a disappointing 2012 campaign. During the 2012 offseason, Locker won a “quarterback competition” that some believed was weighted in his favor and assumed the starting role over incumbent Matt Hasselbeck. He went into 2012 with high expectations. Locker suffered an injury to his left non-throwing shoulder in the first game against the New England Patriots in the 4th quarter but returned to action in game 2 against San Diego. His shoulder was re-injured in game 4 (it was later revealed to be a separated shoulder) with the Houston Texans when he took a punishing blow from Glover Quinn. He returned to action in game 10 versus Miami. Overall, 2012 was a tough season for the young quarterback not only due to his own injury but to injuries to the offensive line. The offense was generally ineffective even when veteran Hasselbeck was under center. After struggling the first half of the season, running back Chris Johnson returned somewhat to form midway through the season, enough so that the “powers that be” who are on the hot seat such as coaches and management opted to pay Johnson his $2,000,000.00 signing bonus and absorb his $10,000,000.00 salary in 2013. Johnson has salaries of $8,000,000.00 in 2014 and $7,000,000.00 in 2015 and will be 28 years old at the beginning of the 2013 season. Unless he simply has an outstanding year in 2013 it is difficult to imagine the Titans, or any other team, paying him that type of salary. I wouldn’t expect Johnson to renegotiate his contract with the Titans and therefore I don’t expect to see him in two tone blue past the 2013 season. While troubled wide receiver Kenny Britt appears to have survived continuing offseason issues, an ACL injury in 2011, and an on the field disappearing act in 2012 to remain on the roster in 2013 his days as a Titan are likely numbered. Britt is incredibly talented and seems to be a likeable guy but he just doesn’t seem to learn from his mistakes. Britt is also entering a contract year and is slated to make $1,347,500.00 in 2013. Regardless, Britt is playing for his next contract no matter the source and 2013 is a huge year for him. When healthy, middle linebacker Colin McCarthy is a force on the field. A 4th round draft pick out of Miami in in 2011, McCarthy became a started as well as a leader on the defense his rookie year. Sadly, injuries since then have marred what appeared to be a very promising beginning for the young linebacker. He appeared in only 7 games in 2012, losing time first to a high ankle sprain and later to a concussion. The Titans defense really suffers when McCarthy isn’t on the field. He is signed through 2014 but if he can’t stay healthy and produce in 2013 you can expect the Titans to start looking at their options. Former UCLA linebacker Akeem Ayers has played every game since his rookie season in 2011 and he immediately became a reliable and at times impact player for the Titans. Along with fellow linebackers McCarthy and second year man Zach Brown, they form an exciting and promising trio. For Ayers however, the new rookie salary scale means he is playing for his next contract sooner than those in previous years and he is under contract only through 2014. So while not on the hot seat, I added him here because 2013 is definitely a key year for him as he enters “playing for your next contract” territory. Many expected the Titans might part ways with safety Michael Griffin after an up and down 2012 season but the Titans opted to pick up his roster bonus and absorb his $3,500,000.00 salary during the offseason. However, the Titans also signed safety George Wilson to a two year deal. Like Britt, Griffin is a gifted athlete who has shown flashes of greatness but with his salary escalating to $6.2 milly in 2014 this is a make or break year for the young safety. Former UCLA cornerback Alterraun Verner is entering the final year of his rookie deal and will be a free agent in 2014. A 4th round pick in in 2010 and a solid player for the Titans, Verner has watched the Titans draft competition since his rookie year and has still retained his starting role. However, during the offseason and prior to the draft the Titans expressed an interest in adding a cornerback who can play press coverage and they drafted UConn defensive back Blidi Wreh-Wilson in round 3 of the 2013 draft. Verner seems headed to the slot where he will likely compete with second year man Coty Sensabaugh who had a solid rookie campaign. Frankly, I hated adding Kam Wimbley to this list as he also had a very underappreciated 2012 along with fellow defensive end Derrick Morgan. Yet, first and foremost the NFL is a business and you have to wonder what the Titans will do as Wimbley’s contract figures for 2014 through 2016 continue to escalate. Is it too early to add Wimbley to this list? Maybe so but with a salary of $6,000,000.00 it isn’t out of the question to think that 2013 is a key year for him. Add Jurrell Casey to the list of Titans playing for their next contract. Casey has been outstanding and is entering the third year of a 4 year deal. The addition of Sammie Lee Hill should help Casey as he typically faced double and at times triple teams in 2012 and still managed to be an impact player. If Casey has the year you expect him to have, I look for the Titans to begin negotiating to extend him if the team plays well and there isn’t a change in management/coaching. If there is, he could be playing for his next contract with another team if the new staff decides to go in a different direction. Another guy playing for his next contract is 3rd year defensive lineman Karl Klug. Despite a solid rookie campaign where he led all rookie defensive tackles in sacks at 7, Klug saw limited playing time in 2012. The addition of Mike Martin and a general change in philosophy toward bigger DTs clearly affected Klug’s stock and he has to find a way to get back on the field because he is also only signed through 2014 and is playing for his next contract. David “Big Country” Stewart is a popular guy who is well liked and he has been a solid and dependable player since being drafted in the 4th round by the Titans in the 2005 NFL draft. Stewart broke his right leg in game 13 of the 2012 season but it appears he will be ready for training camp. The Titans picked up his $1,000,000.00 roster bonus during the offseason and all appearances indicate they will absorb his $5,000,000.00 salary. Stewart is slated to earn $6.4 million in 2014 but it is a voidable year and he will be 32 years old. Like fellow lineman Big Country Stewart, but without the injury, Roos enters 2013 facing a voidable year at his contract in 2014 and his salary numbers are likewise high. He will earn $6,000,000.00 in 2013 and that escalates to $6.625 million in 2014 when he will likewise turn 32. When the Titans tagged Fernando Velasco I truly expected he would be considered a lock at center. Velasco had an outstanding 2012 in his first year starting for the Titans. An undrafted free agent who spent 2 years on the practice squad before making the 53 in 2010 Velasco is a versatile lineman who can play both center and guard. Given that the Titans selected one of the best centers in the 2013 draft in Brian Schwenke, Velasco will be competing at center and guard for a spot on the roster in 2014. There are also several Titans who are playing under one year deals like Bernard Pollard that I didn’t include on this list because of course 2013 would be key years. Also, there are other players you could add to the “playing for their next contract” list but I elected to go with only those players who have been or are expected to be key contributors. Finally, I didn’t include Eugene Amano because with a 2013 salary of $3.685 it is hard to imagine he will be on the roster in 2013.